The stomach flu has touched ground on the 2018 Winter Olympics, which begin in Pyeongchang, South Korea, on Thursday, and officials are pulling out the stops to keep it from derailing the games. 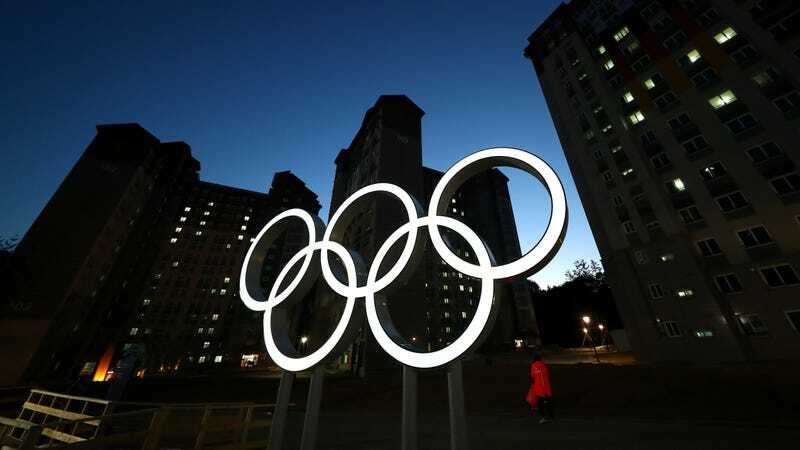 According to CNN, Olympics organizers have reported 41 security guards afflicted by “a sudden onset of vomiting and diarrhea” over the weekend, four days before the games are set to begin. The guards are thought to be afflicted by norovirus, an incredibly contagious and prolific germ typically spread through eating contaminated food and water or even touching contaminated surfaces. Norovirus is the most commonly reported source of food poisoning, and it causes more than 600 million cases every year, according to the Centers for Disease Control and Prevention. Symptoms, aside from vomiting and diarrhea, also include nausea, fever, and headaches, and typically last one to three days. As anyone who’s had a particularly unlucky cruise might know, the virus thrives in confined spaces, since it can take as little as 12 hours after you’ve been exposed to become sick and contagious. All 41 guards were reportedly staying at the same apartment, but it’s not known how they became sick in the first place. Trying to head off the outbreak before it spreads like wildfire, officials have momentarily sequestered 1,200 guards in their rooms and replaced them with 900 military personnel as of Monday afternoon. Buses and public spaces have also been decontaminated. Meanwhile, Olympic and public health officials at the Korean Center for Disease Prevention and Control (KCDC) are scrambling to identify the source of the outbreak. “KCDC dispatched an immediate response team to the Pyeongchang site to check additional people for symptoms, check the origin of the exposure, take measures to control infection and prevent spread,” the agency said in a statement Monday. Norovirus feels like a living nightmare, but thankfully, it’s rarely life-threatening for most (exceptions include the very young and immunocompromised). The guards are reportedly in stable condition. If that’s not enough of a bad omen, the Olympics are now expected to begin during what might be a record-breaking cold snap.